Cheap Air Tickets Deals | Fly to Bintulu with Airasia from SGD 45! 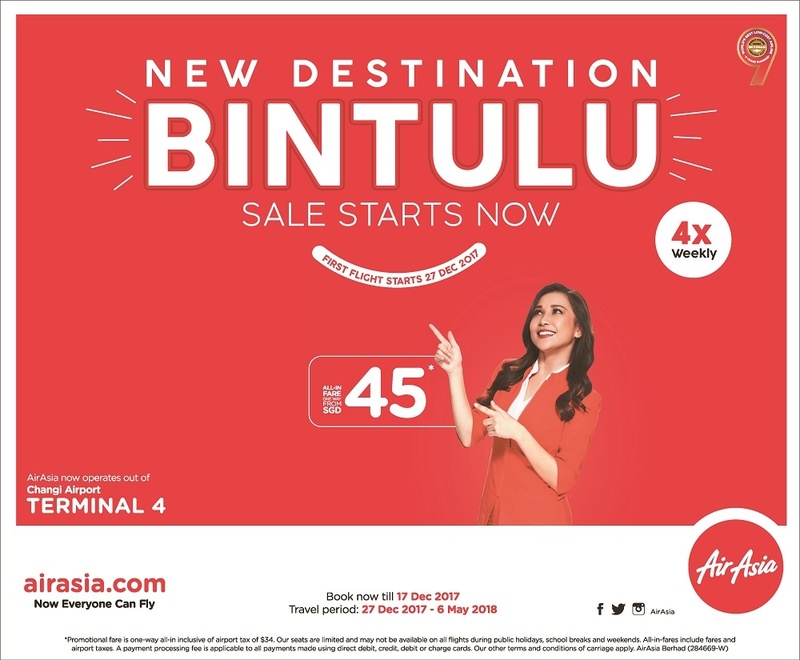 Fly to Bintulu with Airasia from SGD 45! Halfway between Kuching and Kota Kinabalu lies the coastal town of Bintulu. Often a pitstop between the two state capitals, Bintulu’s slower pace offers respite from city life. Rainy and abundant in natural resources —including vast reserves of natural gas as well as crude oil. Life may be simple here, but in Bintulu lies one of the more remarkable national parks – Similajau. Get acquainted with Sarawak’s rainforest terrain here, and bask in the beauty of Similajau’s golden sandy beaches with rocky headlands and untamed streams. If caving is what you’re after, then the mighty high-ceilinged chambers of Niah Caves (Gua Niah) are only 1.5 hours away. Other tourist favourites at Bintulu include the Bakun Resorts, Lambir National Park and Loagan Bunut National Park. The famous Bario rice (low carb rice) from the Bario Highlands is the town’s specialty, and for shopping, Pasar Utama and Pasar Tamu are the places to be. Make sure you try local delicacies such as laksa, cencol, rojak and unique wild jungle products as well!